Set at the foot of the Massif Central in between Rodez and Albi the Ségala has been a tough place to live in for centuries in spite of incredibly beautiful landscapes. Due to its poor soil where only rye would deign growing, there were little farming and meager harvests. However thanks to these poor conditions this French region has been saved from intensive agriculture and industrialization and now offers a preserved nature, fresh air and good food. It was not only before the beginning of the 20th century that this forgotten land opened up to the world when a railway line was at last built to link it to major French cities. It dramatically changed the people’s living conditions. The change came with tens of thousands tonnes of lime that were brought here to turn the poor acidic soil into fertile land. Bewildered, local farmers discovered that their fields had become some of the best ones in France. Famine and poverty faded away. Fortunately all through the 20th century local people were clever enough to preserve their region’s beauties from the havoc of modern agriculture allowing visitors to enjoy beautiful landscapes, lovely villages and quality food. 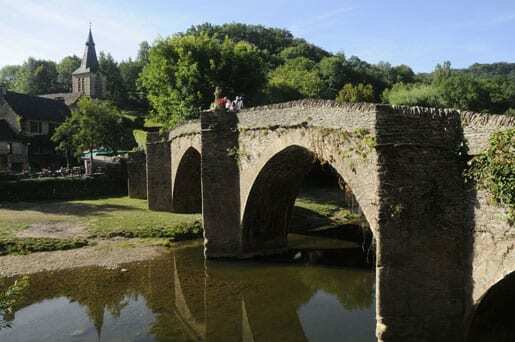 Ségala truly is a land of contrasts with a succession of wild narrow valleys where deep forests grow and high plateaus where cows live in the open. There are so many rivers, torrents and brooks in Ségala that it is also known as the “Land of the Hundred Valleys”. Today it mostly is a cattle-rearing area famous for its high quality meat, the main specialities being milk calf and suckling lamb. Many castles have been built here since the Middle Ages of which only two are open to the public. 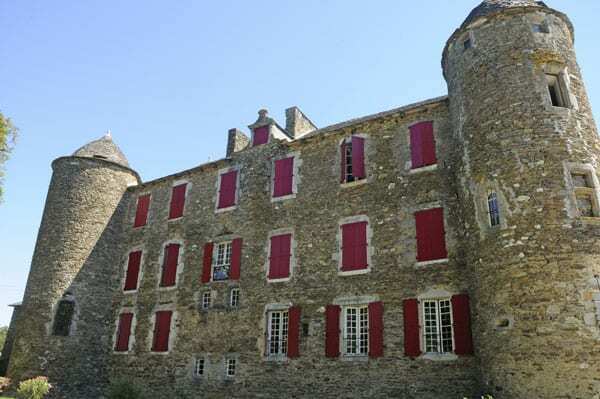 The Chateau du Bosc originally was a medieval fortress built in the 12th century. 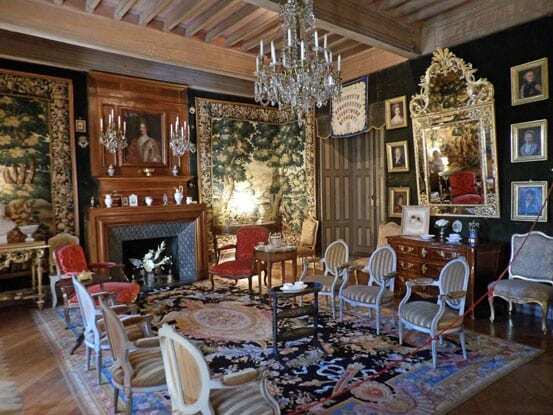 In the middle of the 19th century Countess Raymond de Toulouse Lautrec, grandmother of the famous painter Henri de Toulouse Lautrec, turned it into a comfortable family house. Don’t miss this visit that will allow you to discover the way of life of this wealthy family where Henri’s talent blossomed at a very young age. www.chateaudubosc.com The Chateau de Taurines also is a medieval castle that has been patiently and lovingly restored by a benevolent association in the 1980’s. The monumental spiral staircase, the huge fireplaces, the arched ceilings now look as impressive as they did 7 centuries ago. In summer time the castle also welcomes modern art exhibitions. There are many charming villages worth visiting during your stay in Ségala. 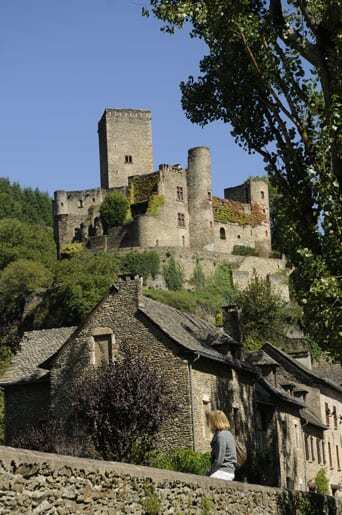 But if you don’t have much time you should at least go to Belcastel and Sauveterre de Rouergue. In 1974 when Fernand Pouillon, a famous architect of the time, discovered Belcastel chateau and its tiny village stretching on a hillside it was like finding Sleeping Beauty Castle. This remote village was falling to ruins but its beauty was still obvious. 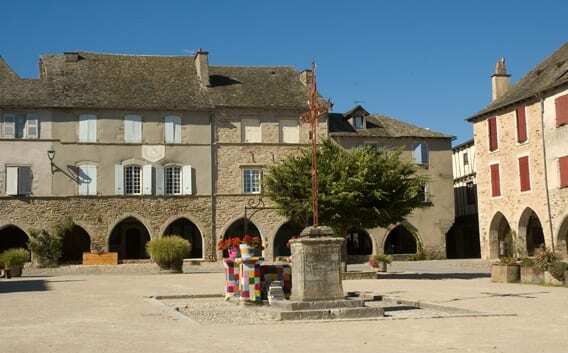 Sauveterre de Rouergue has been awarded as one of France Most Beautiful Villages. 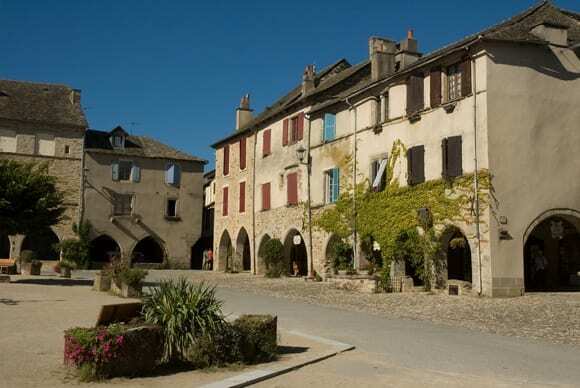 This village was created ex nihilo in the 13th century it was one of the new town of the time. France’s population was increasing fast and French king Philippe II decided to create new towns where people could live and work. 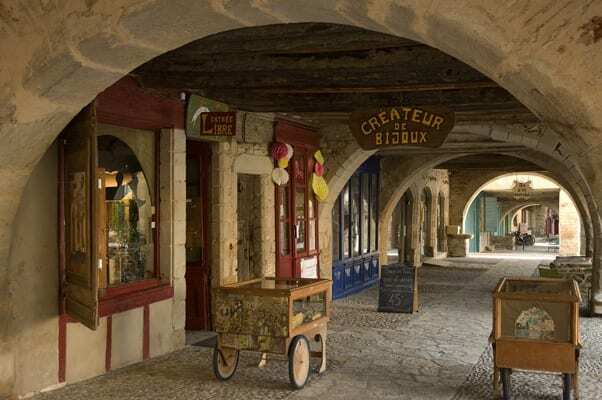 This is why the village has a remarkable architectural unity and a right angle grid layout centred with a magnificent square surrounded by 47 arches. 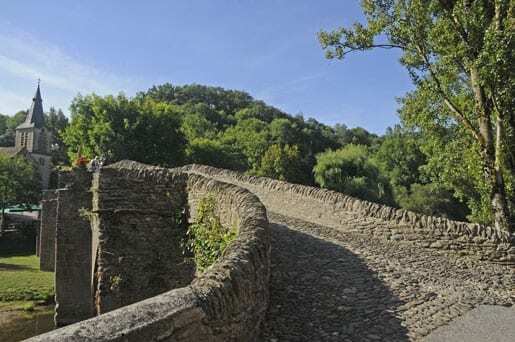 Its inhabitants were skilled craftsmen and soon Sauveterre de Rouergue became famous for its knives making. This prosperous period ended in the 17th century when several plague outbreaks decimated the population. Thanks to this decline the village has little changed and today after having been carefully restored it takes us back in time. Traditional crafts are being fostered conveying local culture and providing means of livelihood. Michel Truchon owner and chef of “Le Sénéchal Hotel and Restaurant”, was born here and learned the art of cooking in his mother’s restaurant in Sauveterre de Rouergue. After travelling through France to develop his talents with renowned chefs he came back to his hometown in 1976. In 1990 he was awarded with one Michelin star and has kept it ever since. Remaining faithful to his roots chef Michel Truchon sees his cuisine as a commitment to Sauveterre. To him his cuisine is like his village, a refuge where authenticity, humility, emotions and simplicity are the main ingredients of his recipes. Mrs Truchon will warmly welcome you at “Le Sénéchal” and make you feel comfortable at once. 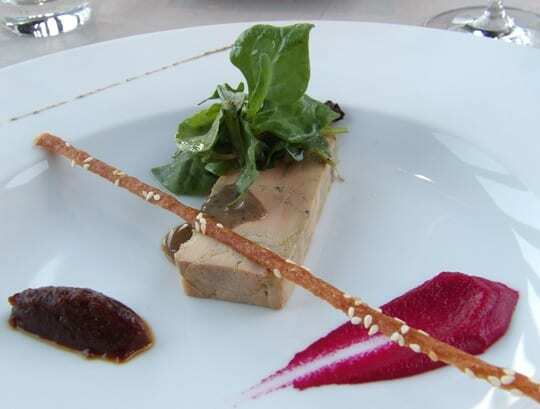 The restaurant has several menus from 35 to 125 Euros including vegetarian, vegan and gluten free menus. 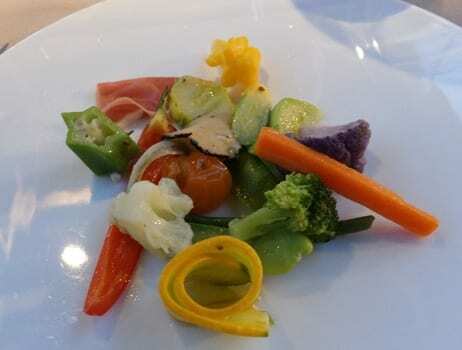 Michel Truchon loves to cook fresh seasonal products and favours vegetable, herbs, light spices, seafood and of-course lamb and poultry from Ségala. Whatever your choice get ready for a wonderful lunch or diner. The plates are all artistically arranged and the food is simply exceptional.